The Tao of Women is a Chinese Medicine clinic that focuses on the health and wholeness of a woman. Her mind-body-spirit health as well as issues involving gynecology, infertility, and pregnancy are areas that Annie has chosen to focus on in her practice. As women, we have many levels of complexity that create our unique beauty. When we find ourselves out of harmony, acupuncture and Chinese medicine work together to restore the balance that nature intended us to have. 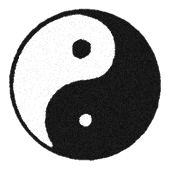 The "Tao" translates to "The Way" and represents the absolute principle underlying the universe that is in harmony with the natural order and the balance of yin and yang. The Tao of Women, then is "The Way" of women's health by working with the principles of nature. Using gentle acupuncture, herbal medicine, cupping, nutrition, and lifestyle adjustments, together we can find the strong, happy, grounded woman at any stage of life that you are meant to be! ﻿At my clinic, we are partners in your healing. Some of your journeys are short and quickly successful, others a bit more lengthy and arduous but either way, I am committed to your journey and stand beside you every step of the way.